Do you feel as though your property is missing a character of its own? Why not consider the timeless flooring options on offer from the team at Euro Timber Flooring! With over 20 years of experience in the industry domestic and commercial customers throughout Melbourne’s metro area and beyond can trust our hands-on and knowledgeable team and our modern solutions and services. Thanks to the high-quality of our bespoke and durable timber flooring Oakleigh locals and others in the surrounding suburbs can trust the team at Euro Timber Flooring to update their property’s interior for an affordable price. 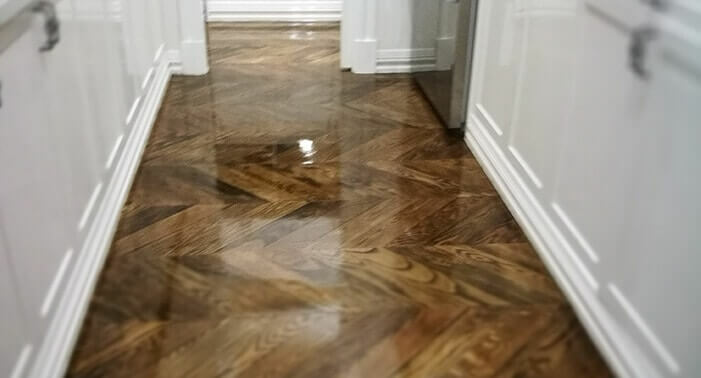 With our fully-collaborative and detailed service our professional and qualified team ensure that our finished floor suits your tastes and your desires without compromising your vision. Are you after fresh and new timber floors but want them in a style that authentically expresses your taste in décor? At Euro Timber Flooring we strive to deliver a contemporary and thorough service that ticks all the right boxes. Along with our standard timber flooring we can design and seamlessly install parquetry flooring in a number of expressive patterns, and can even install Oak timber for our flooring. To find about how you can experience our cost-effective and detailed solutions give us a call on 0415 110 099.